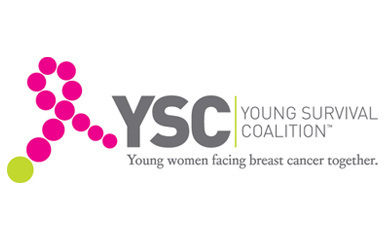 Young Survival Coalition (YSC) is the premier global organization dedicated to the critical issues unique to young women who are diagnosed with breast cancer. YSC offers resources, connections and outreach so women feel supported, empowered and hopeful. Young Survival Coalition (YSC) holds a special place in my heart. I attended a YSC support group meeting before each of my surgeries for DCIS (ductal carcinoma in situ). The strong & supportive women I met in those meetings provided me with the kind of advice only others who have been through it can provide (e.g., what kind of pillows to buy to get a good night's sleep & protect against lymphedema). In my previous role with YSC, I worked with doctor offices and hospitals to provide them with information about this invaluable resource that they could pass on to their young breast cancer patients. Now, as a New York State Leader, I have been given the opportunity to use my professional skills and personal experiences to connect with even more young women facing breast cancer. Young breast cancer survivors can bring their co-survivors with them!